Xiwen Guan was born in Qingdao, China. He completed his undergraduate study with a Bachelor of Science in Physics and High Education at Qufu Normal University in China in 1986. After graduation, he was assigned to teach physics at the Qingdao Technology College in his hometown. 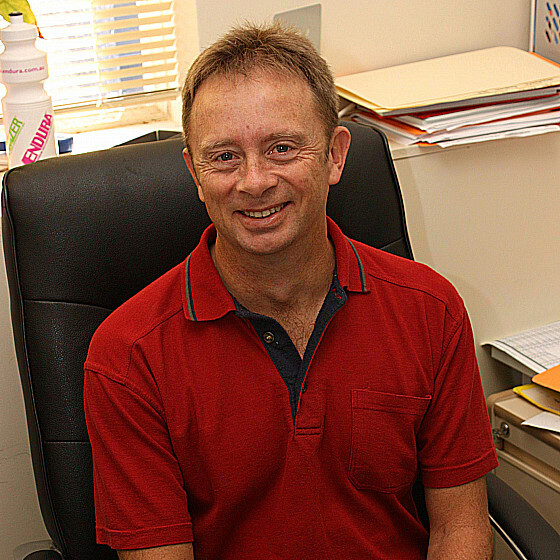 He received several Awards for Excellence in Teaching in the College. He was promoted to associate professor in 1992 due to his excellence in teaching. Guan undertook his PhD study at Jilin University during 1995-1998. He graduated from Jilin University with PhD degree in Theoretical Physics in November, 1998. He was awarded the ``Baogang Education Foundation'' prize from Baogang Education Commission of P. R. China due to his excellent research outcomes. He then undertook postdoctoral research for 3 years at the Technische Universitat Chemnitz, Germany, the Universidade Federal de Sao Carlos, Sao Paulo and the Universidade Federal do Rio Grande do sul, Porto Alegre, Brasil. Since his appointment at ANU in February 2003, Guan has been working in the areas of mathematical physics and exactly solvable models in condensed matter, statistical mechanics, cold atoms and spin liquids. He was promoted to Level C Fellow effective from January 2009. Guan has held/ holds several visiting positions: 1) a visiting professor position at Tsinghua University, China for 4 months every year from 2012 to 2014; 2) a visiting scientist position at Ohio State University for 3 months in 2010; 3) a regular visitor to the Institute of Physics, Chinese Academy of Science, Beijing from 2009 to 2011. From 2011, Guan is serving on the Advisory Panel of Journal of Physics A. Exactly solvable models in cold atoms, strongly correlated electron systems, spin chains, vertex models, spin ladder compounds. Haldane exclusion statistics, Tomonaga-Luttinger liquids, quantum criticality and quantum correlation functions. Quantum algebra, quantum groups, open boundary quantum inverse scattering method, quantum transfer matrix. Guan has made a number of contributions in these fields, which have led to direct applications in recent breakthrough experiments on 1D many-body physics. A recent research highlight on scaling and quantum criticality in 1D bosons can be found here.